Today I’m welcoming Dave Spinks and Kristin Lee who are here to tell us about their exciting upcoming convention, Society of Supernatural! Thank you, Dave and Kristin for stopping by! Dave: I’m a military veteran of 9 years and retired federal law enforcement officer. 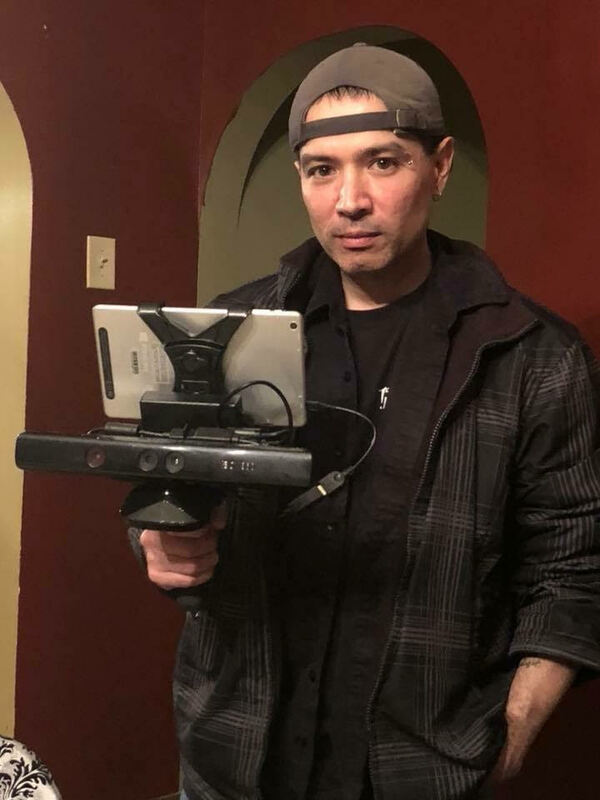 I’ve been investigating and researching all aspects of the paranormal for over 30 years. I have recently delved into writing. I have a lot of experiences and knowledge over these many years of investigating strange phenomena and I feel it’s time to put it to paper. Kristin: My name is Kristin Lee. I’m the founder and owner of the Bellaire House Paranormal Research Center, coined Bellaire House Tours, LLC. I work in the metaphysical field and also work with a large supernatural community whom collect paranormal data at the Bellaire House. 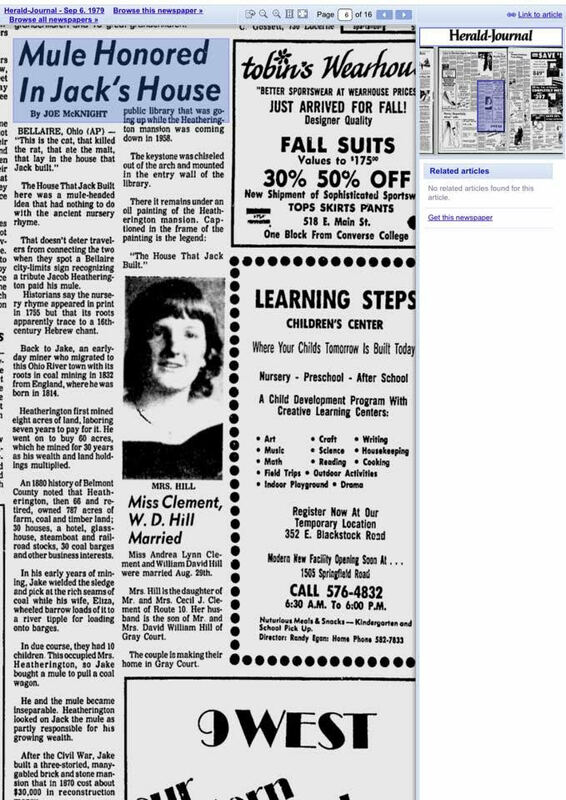 Dave: Well the paranormal really changed my life due to several experiences I had as a young man, starting with a Bigfoot sighting I had in 1983 with my grandfather. Kristin: I fell on hard times when my home was destroyed by two flash floods, leaving me homeless with two kids. I found the Bellaire House on a foreclosed list, I put in a bid to purchase the home, the bank accepted it and we moved in shortly after. It wasn’t long before I started noticing paranormal activity; but I blamed psychology from the flood, being over worked and the stress of rebuilding a life for my family until there was no more psychological explanations. I’m interested in afterlife communication, and collecting paranormal data to prove or disprove there is something more than what a conservative middle class society taught me. There are things that I’m unable to explain, unexplainable things not only I, but many who gather with me, can’t explain either. There are so many profound things that add up if you pay attention – it’s like I’m being spiritually led. I think the most important thing I’ve learned from this metaphysical/paranormal research is that there are no coincidences. You’re a paranormal investigator. What kind of locations do you investigate and what’s been the scariest one so far? Dave: Yes, well I investigate residential locations as well as commercial locations. However, I investigate hauntings, cryptids and ufo sightings anything in the supernatural realm is game for me because I feel a lot of it, maybe interconnected. I really don’t have a scariest location, each one is different and many have been unnerving in their own way. You’re an author, metaphysician and owner of the Bellaire House, a location known for its paranormal activity. Tell us a little about its haunted history. Kristin: The land is part of the French and Indian war, there are Shawnee caves on the property for the mid 1700’s; we have heard others locals say their elders told them that the Shawnee held ceremonies behind the Bellaire House. Bellaire is known for “the house that jack built.” Which was built and owned by a hard working coal mine tycoon named Jacob Heatheringon, we have proven the Bellaire House to part of Jacob Heatheringtons land, as well as the Bellaire House was part of Jacobs family – his son Alex and granddaughter Lyde took over the coal company when Jacob died. 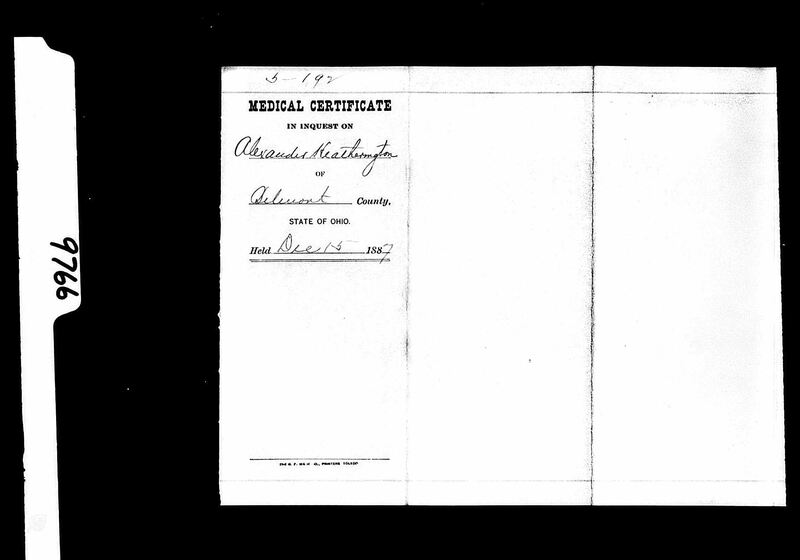 We have recently learned Alex was committed to a lunatic asylum when the business failed, leaving Lyde, who died in the house from heart problems owner of the land. 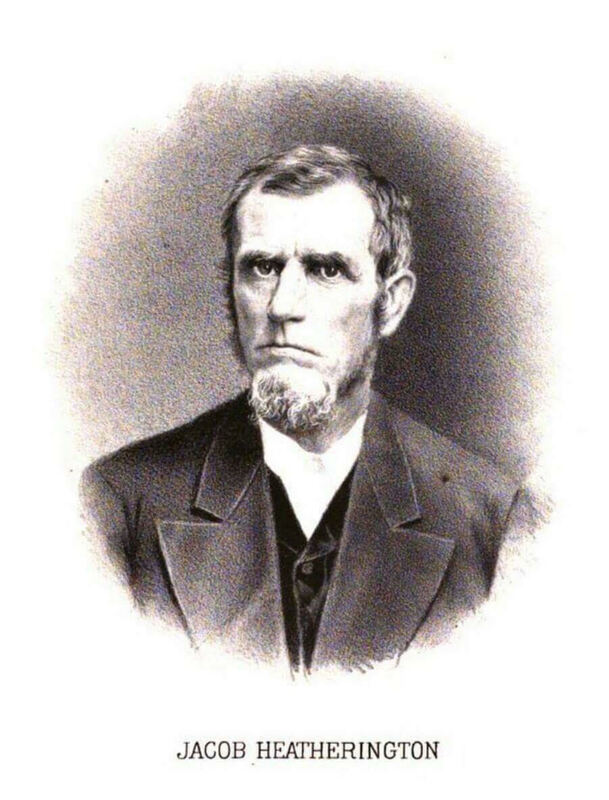 Her brother Edwin lived inside the Bellaire House with Lyde, but when Lyde died, Edwin became struck with grief and called upon spiritualist’s to come to the Bellaire House so he could communicate with Lyde. We also learned that Edwin lost a twin sister at a tender young age of his human development, which may have triggered him to question the afterlife when he was a child. We have heard rumors that the water was poisoned by a local man because his wife wanted to live in the Bellaire House but the family would not sell it. 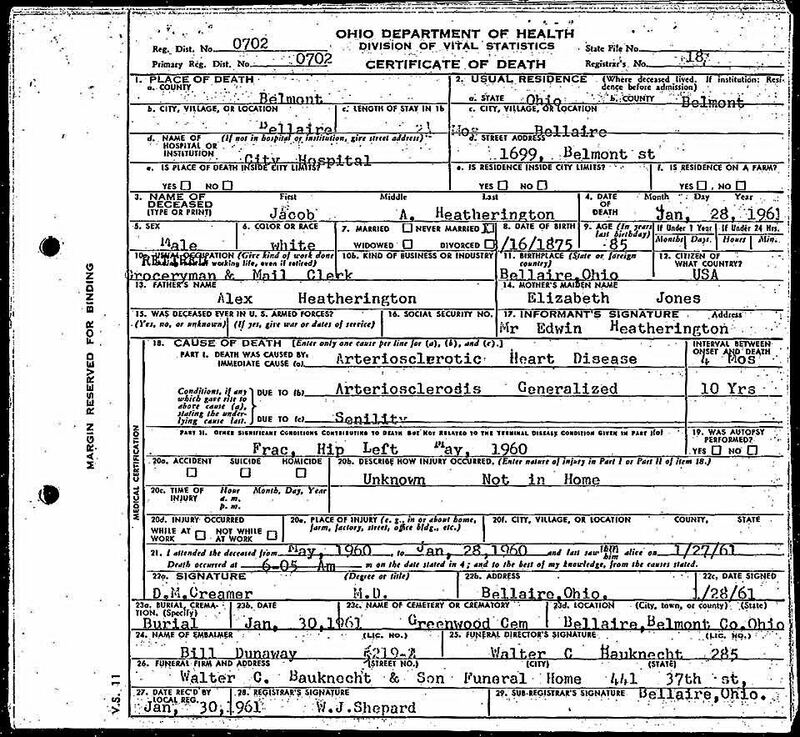 Jim Chase who is a former code enforcer, found maps that show catacombs, leaving a passage for freedom for the Underground Railroad to the Ohio River. 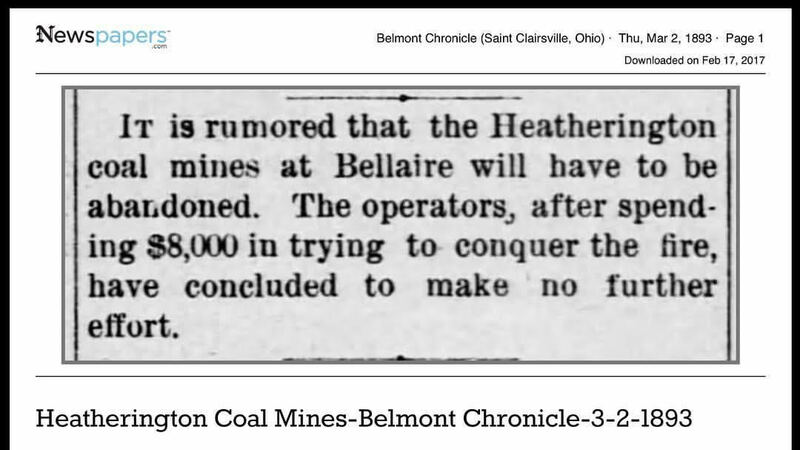 There is documentation of a coal mine fire in portal 1, which Jacob Heatherington spent $8k to extinguish in the 1800’s. We have identified Jacob as being a leader of the Good Fellows, and holding private meeting in the lower chamber of his home. In front of the House is the Ohio River which coincides with leyline that create portals or doorways to the paranormal. We have recently discovered very strong correlations to the Heatheringtons physical & psychological well being. Historically the house has had many owners as well as those who lived there as renters. The Bellaire House houses positive energy aside from some of the TV rating dramatic’s, but then the other side of the Bellaire House is not positive & it can be dangerous, some people call this demonic- so the Bellaire House crew works hard to keep the energy neutralized to try to be proactive against negative energy. We have had many teams come to investigate the Bellaire House for definitive paranormal activity, and most have gathered some very profound & unexplainable video data, concluding paranormal activity does exist. It has taken us thirteen years to gather data to be able to say that paranormal activity exists. Our next research is trying to learn how the activity manifests. Together you both are working on an exciting upcoming event, Society of Supernatural. Dave, can you tell everyone when the event will take place and how people can get tickets? And also, what’s the itinerary for the day of the event? 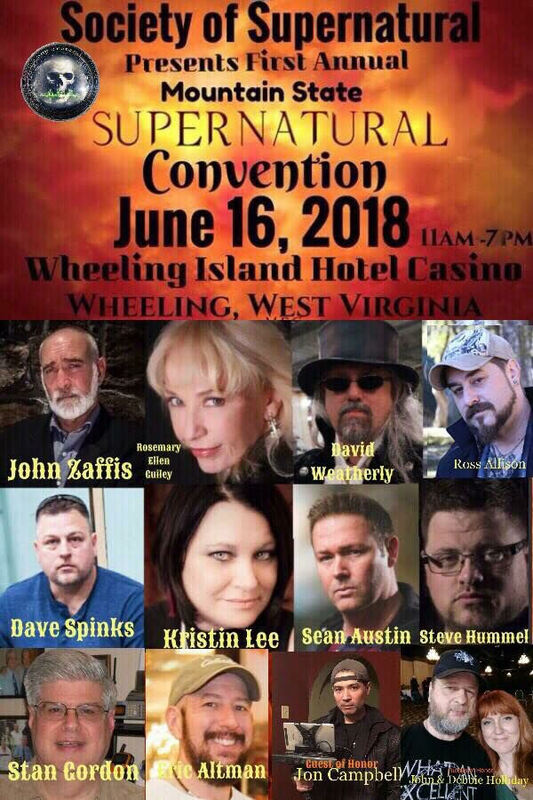 Dave: Yes, the first Society of the Supernatural Convention will be taking place on June 16th from 11 am to 6pm, at the wheeling island casino and resort in wheeling WV. There will be guest speakers , To include John Zaffis , Rosemary Ellen Guiley , our own David Weatherly, Myself , Kristin Lee, Ross Allison, Sean Austin. Also appearing Stan Gordon, Eric Altman. There will be many meta physical people, psychics doing readings haunted location owners and people who run the locations to include Willows Weep, Bellaire House Octagon Hall, Kusciosko County Jail, Guyer Opera house and more. Several paranormal radio shows, paranormal groups of all kinds. Also, after the event is over Sean Austin Will be performing live music at the venue . You can get tickets to the event by going to the Bellaire house facebook page , go into the events page and find the conference page. You can also buy tickets at the door. Kristin, the day before the event there will be a “Meet & Greet”. Can you tell everyone about that? And where will the “Meet & Greet” take place? Kristin: Dave called me one afternoon and asked me to help him coordinate a supernatural gathering in Wheeling, WV. We say supernatural because we wanted to not limit ourselves just to paranormal. We believe that all unexplained should be considered “supernatural” because we work with so many people in the field who are not just paranormal investigators. We also wanted to open the conference up various people who work as metaphysicians, psychic’s, cryptozoology, ufology, hauntings, paranormal, demonology, authors, location owners, teams of researchers, and healers. We also wanted to gather together with like minded people to share our work & start building a strong network of rapport with our peers. In the past I coordinated psychic fairs at the Wheeling Island Casino, Wheeling, WV, so I suggested to Dave we start the conference there. 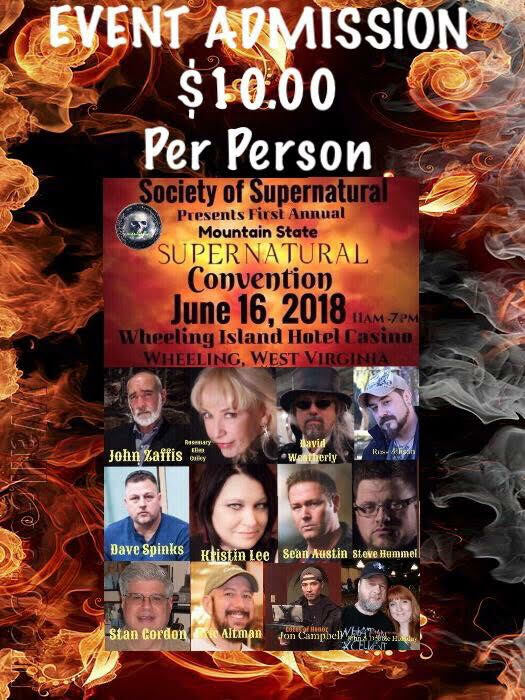 David Weatherly & Spinks asked me to join the Society of the Supernatural, (SOS) because of my work and experiences from the Bellaire House & we have other members of the SOS spread across the world. 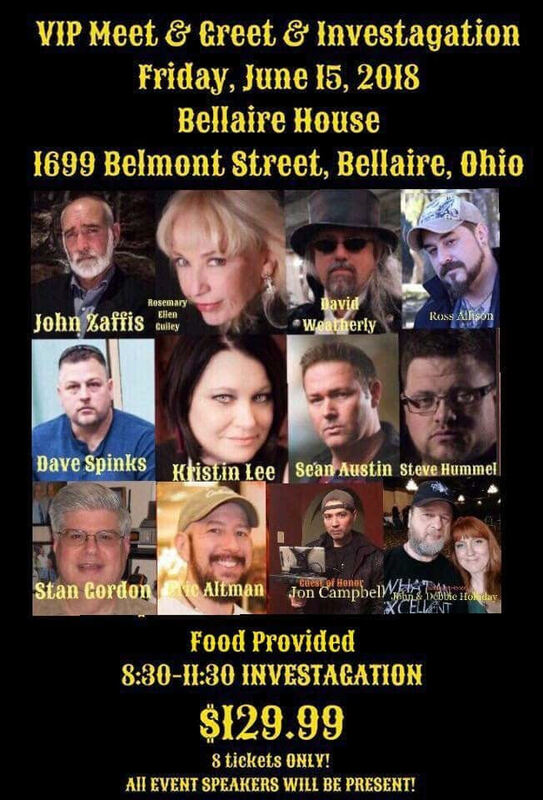 Friday night is a private meet & greet at the Bellaire House with the speakers of the convention, plus we will also be holding a small & intimate Investigation at the Bellaire House with the speakers of the conventions. We opened up a six VIP tickets for guests to join us. Info for VIP tickets is in the website. thebellairehouse.webs.com. Meet & greet is 6pm-8pm and then the Investigation is 8pm-12am – we have an early morning and a very long day on Saturday. This is the first one of many to come. What’s the inspiration behind creating the event, Society of Supernatural? Dave: The inspiration for the event is to bring together like minded people in the field to network with one another, share stories and experiences swap information . It is also focusing on people who live this life for real, people who have a genuine passion for the research and in the search for answers to some of man’s greatest questions. David Weatherly and myself created Society of the Supernatural 4 years ago with some of these ideals in mind and its starting to take shape and grow on its own. Where can paranormal enthusiasts find all the exciting updates for Society of Supernatural? Anything else you’d like to include about the fun-filled event? Dave: If you love the Supernatural realm you won’t want to miss this one! We’d love to meet each and every one of you and hear your stories and experiences. See you there! Kristin: We have 15 vending tables available at $50 per table. We provide an 8 foot table and chairs. There is an application that needs to be submitted for vendors simply to keep the type of vendors even- we want to keep things fair as possible & not have a overflow of specific vendors. We have capes 2-3 vendors per category to keep the event balanced. VIP meet & Greet tickets are going fast. Lodging for the event is at the Wheeling Island Casino Hotel. Saturday after the convention we will remain in the show room for a public after hours party where Sean Austin will be playing music. 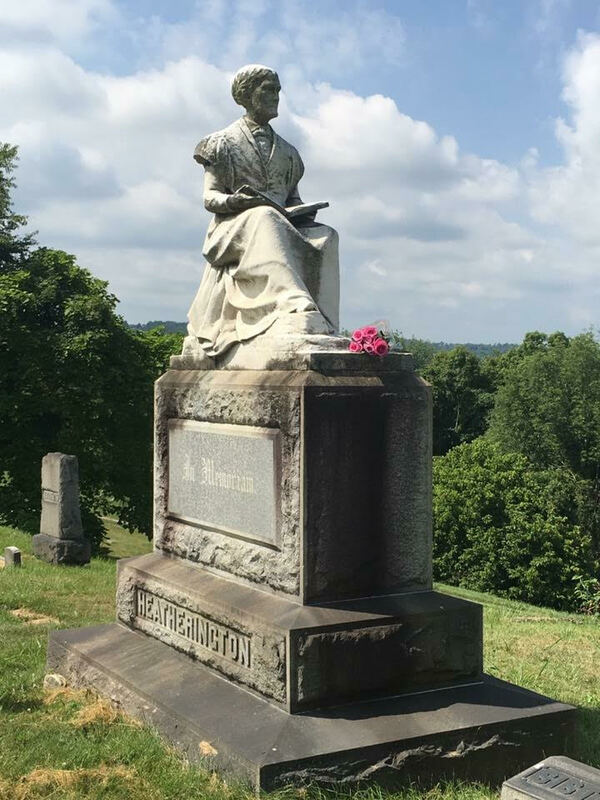 Kristin: It is said by many locals of Bellaire that Jacob had this monument of Eliza placed at Greenwood cemetery with her back turned against Bellaire because of how the locals disrespected her. Jacob built the mansion for Eliza so she would feel acceptance by the village of Bellaire, but when he held parties the locals still shunned her. Eliza was a faithful Christian Women who taught Jacob to read by using the Bible. However, she followed in her mother’s footsteps and worked as a bar maid and cook. Back then, people frowned on women working in a pub. Non true rumors state Eliza is holding a spell book, but she is holding the Bible as she stood firm of the gospel of Christ. Kristin: In March of 2017 after we aired on TV, we received so much attention someone decided to buy the bankruptcy note to the Bellaire House and hung $50k over our heads to keep it. After months of fighting with the persons who bought the bankruptcy note, we were able to get them to lower the debt to $35k and that was when we brought in Jon Campbell as our business partner. We raised money for the cause of saving the Bellaire House, and the debt pushed back the restoration of the Bellaire House, but we saved it thanks to Jon Campbell. As far as we knew I had filed the bankruptcy, walked away to start a new life. Jim Chase, the code enforcer at the time called me and told me I was responsible for the property, the upkeep and I owned it and my name was on the deed still. Once we aired, a mortgage company contacted me demanding payment for the bank note and when they called that was when we found out the bank never foreclosed the properly. Years had gone by and I had been keeping up on the property, taxes and everything that goes along with it until I received the call demanding payment- that’s where John Campbell asked to become a partner to help save the house. Kristin: Many local people have called Kristin a fraud and liar about the Bellaire House, some locals don’t believe in the paranormal and have gone beyond disrespecting Kristin Lee as they once did to Eliza Heatherington. It’s a shame that if anyone dares to be different in Bellaire the uneducated pitchforks point to the sky by the hands of some very cruel people. 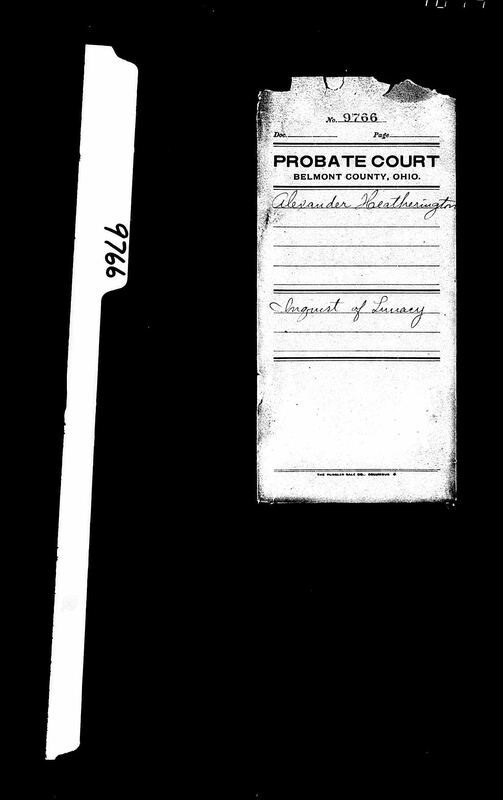 This is proof that the Bellaire House is a historical location, and Jacob A Heatherington was a resident. 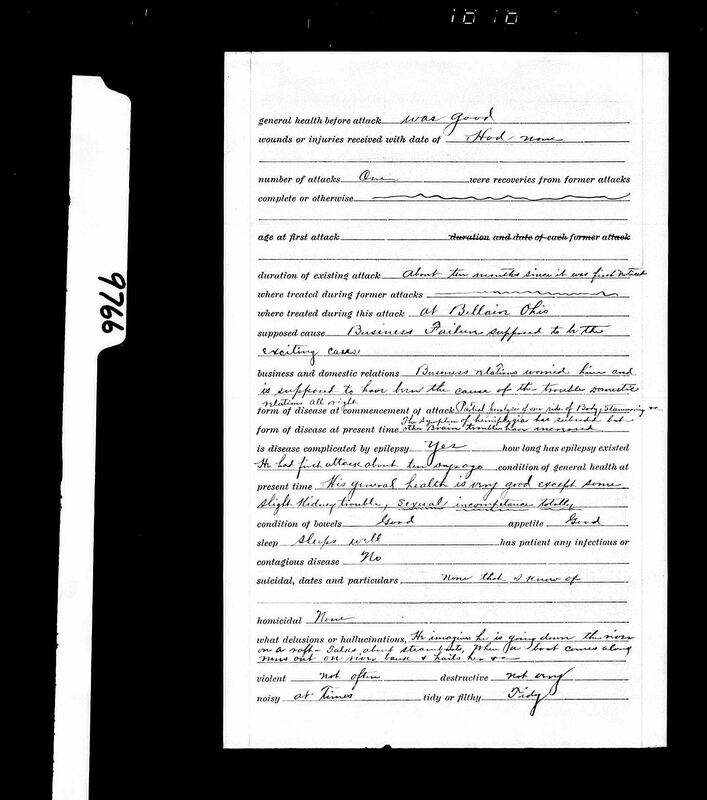 The family is large so historical data is a on going process by Rebecca Star Garden. 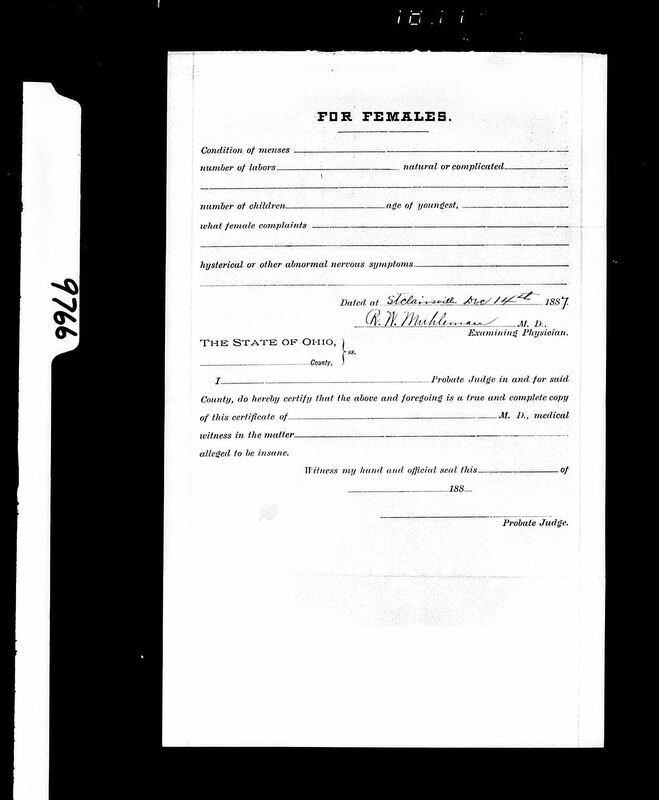 Kristin: The fire 1893. Coal mine portal #1 is currently visible, which proves the fire under the Bellaire House, and the coal mine portal runs from Pinch Run to St.Johns Catholic school. 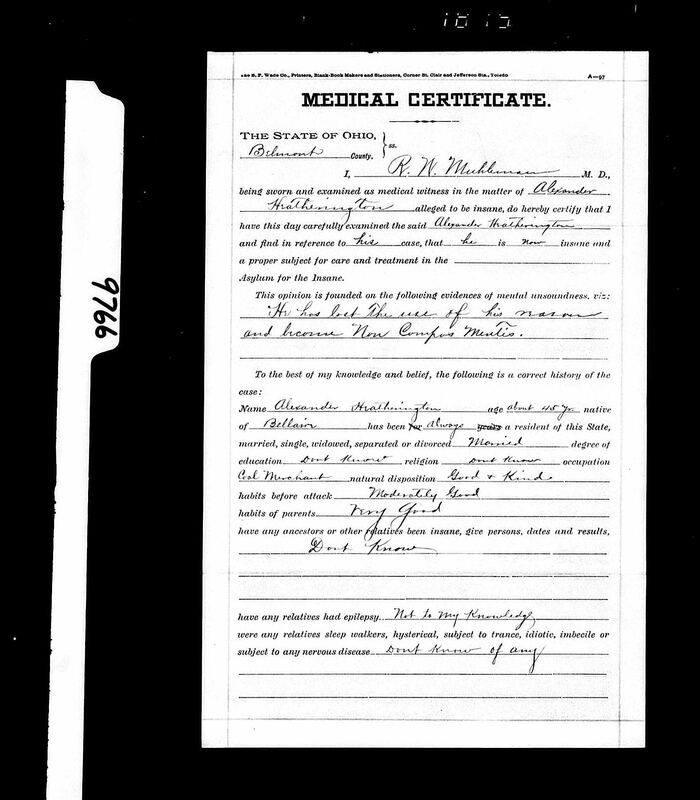 Kristin: Alex Heatheringtons commitment records found by Rebecca Star Gardner. 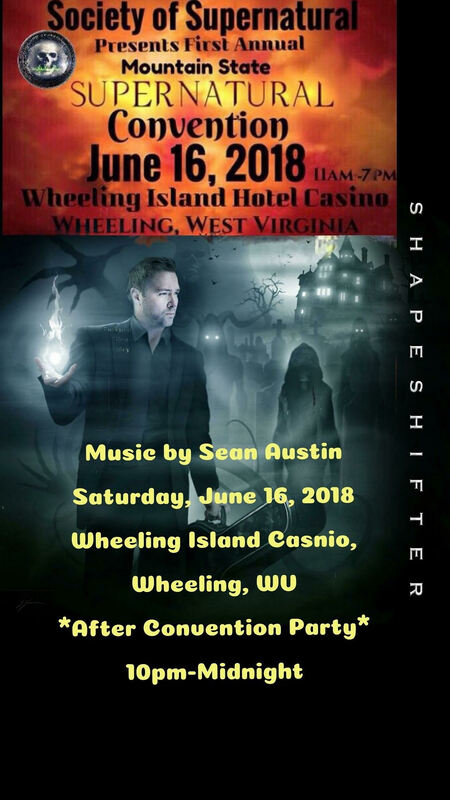 This entry was posted in Afterlife, Angels, Author, Bigfoot, Books, Casino, Cryptid, Dave Spinks, David Weatherly, Death, Demons, Eric Altman, Ghost Hunters, Ghosts, Hauntings, History, Interview, John Zaffis, Kristin Lee, Metaphysician, Ohio, Open Minded, Paranormal, Paranormal Activity, Paranormal Convention, Paranormal Investigators, Paranormal Researcher, Paranormal Stories, Rosemary Ellen Guiley, Ross Allison, Sean Austin, Society of the Supernatural, Stan Gordon, Steve Hummel, Supernatural, The Bellaire House, UFO, Wheeling West Virginia, Writer and tagged Afterlife, Angels, Author, Bigfoot, Books, Casino, Cryptid, Dave Spinks, David Weatherly, Death, Demons, Eric Altman, Ghost Hunters, Ghosts, Hauntings, History, Interview, John Zaffis, Kristin Lee, Metaphysician, Ohio, Open Minded, Paranormal, Paranormal Activity, Paranormal Convention, Paranormal Investigators, Paranormal Researcher, Paranormal Stories, Rosemary Ellen Guiley, Ross Allison, Sean Austin, Society of the Supernatural, Stan Gordon, Steve Hummel, Supernatural, The Bellaire House, UFO, Wheeling West Virginia, Writer by SheilaReneeParker. Bookmark the permalink. My mom and I love Kristin! We have been to the Bellaire House and it is definitely haunted. I’ve seen it with my own eyes. I saw the apparition of a man and also residual activity behind the house from the Indian burial ground. When my mom went there by herself she captured an EVP,(couldn’t understand what it said but it was an unmistakable response), got several elevated EMF readings on the Mel Meter, and detected a very strong sulfur smell in one of the bedrooms. We definitely want to go back! Absolutely! My husband and I were at the Bellaire House last week for an event and we also did an investigation there. The house is definitely haunted! We have plans of going back there as well.